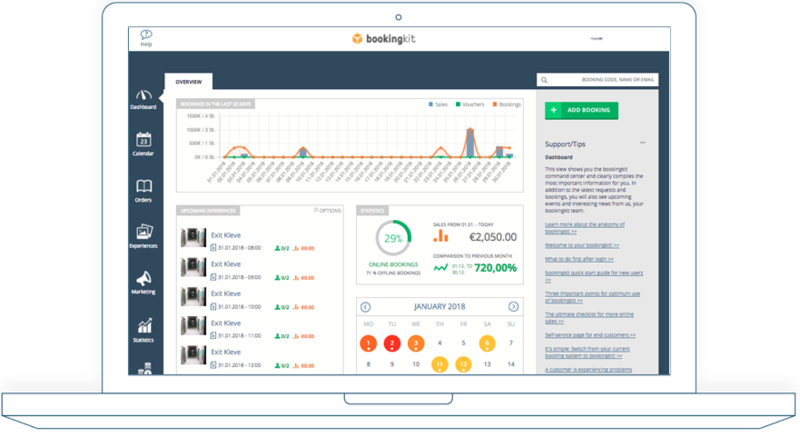 bookingkit is the European market leader in booking and management software for activity providers. We help you make all your services instantly bookable directly on your website - quick & easy integration, no programming skills needed! Save time and manual labor while increasing your sales by up to 30%! 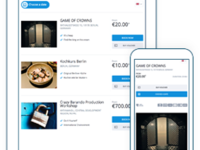 bookingkit provides a centralised, user-friendly platform through which you can promote your services across channels like TripAdvisor, mydays & more. Request a free no-commitment demo! Cons: Sometimes we could not find important functions as they were "hidden". Bookingkit could give us more regularly updates when they change or improve something in their software. 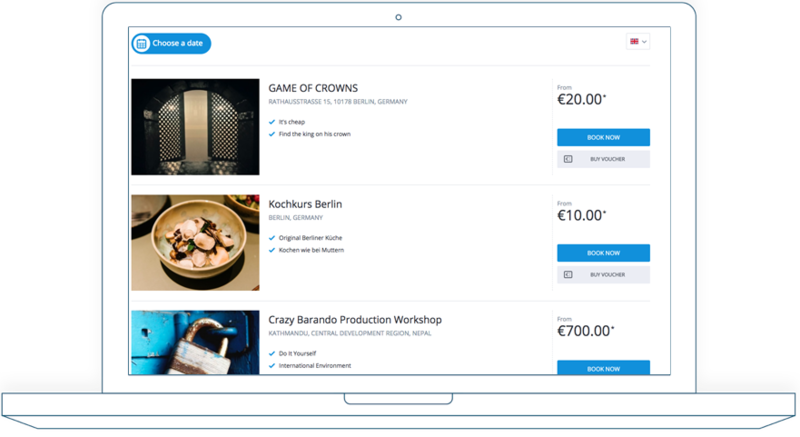 Overall: In collaboration with our partner bookingkit, we can offer an efficient software to our cooking schools. With bookingkit and its easy-to-handle administration, we can save a lot of time for our clients. That way, they can focus on their core business cooking. Comments: Coordinating our cooking classes in our several stores has always been an enormous administration effort for us. For example the decentral payoff of all the cash payments. Bookingkit conducts this all in one software. Now, the payment comfortably takes place via our website. In that way, we now have less expenses with our payoffs. The coordinators and myself are very pleased with bookingkit. Cons: - quite complex: when we started we did not oversee all funtions and were a bit lost. but their customer service is super-helpful! Overall: We do regularly events in our muesli shops, where we sell individually designed organic mueslis and porridge and let our customers try new products. 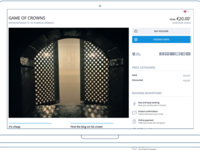 Before we used the tool Bookingkit, we had a lot of organizational effort: people called to ask if there are still vacancies, we had to send confirmation mails, manage our calendar of events, control the payments and so on and so on. 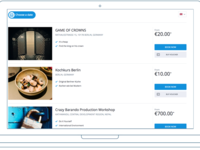 With Bookingkit everything runs smoothly and saves us plenty of time we can effectively use for actually preparing and realizing our tasting events. Overall: We are just starting to work with booking kit . So far everything is going smooth,,, and hope it stays so forever. Pros: The customer support tried very hard to fix all bugs, problems and incompatibilities with MAC and general issues but in the end the negative outweighed the positive and issues were simply never solved. Cons: For an expensive system that does not allow you to personalise your pdf invoices easily, vouchers were not very nice and the look of the booking kit system that is sold to you in the beginning is simply not client friendly (too many bugs). If you want it to look decent you need to pay for someone to do an API integration if you dont have in-house programmers. Comments: We decided for Bookingkit as we could easily integrate their booking and reservation tool on our website. We care a lot about the design of our site and their usability. 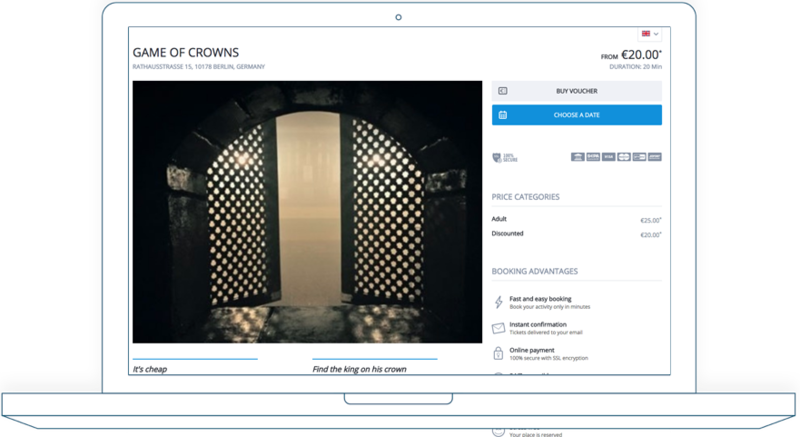 Bookingkit supports the image of our brand as the tool adjusts to our look & feel. Users will not get forwarded to another website when they proceed with their booking. They stay on our site during the whole booking process which supports trust. In our eyes this is vitally important. Comments: I hold seminars and give workshops on change management, agile project management and Scrum. I looked for a way to get all the organizational stuff sorted efficiently that comes with reservations, cancellations, calendars etc. A friend of mine recommended the booking solution bookingkit for my website. Due to their booking widget my course participants can directly book through my website and the software automatically does the paperwork for me. Comments: In our escape game business we have to coordinate time slots, reservations, available rooms and manage booking requests daily. Since we use Bookingkit there is no confusion or disorder in our reservation system. Bookingkit satisfies us with custom-fit features for our needs. 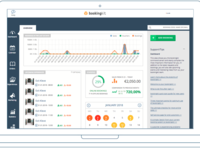 We can highly recommend this software for businesses that offer activities for their customers. Overall: Bookingkit enables us to market our paintball area across various channels without using different calendars for each channel. Through bookingkits marketing partners we acquired plenty new paintball fans. 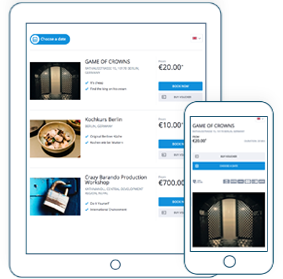 Our existing customers confirmed that they highly value the opportunity to do a reservation online, see all available time slots and create vouchers easily.